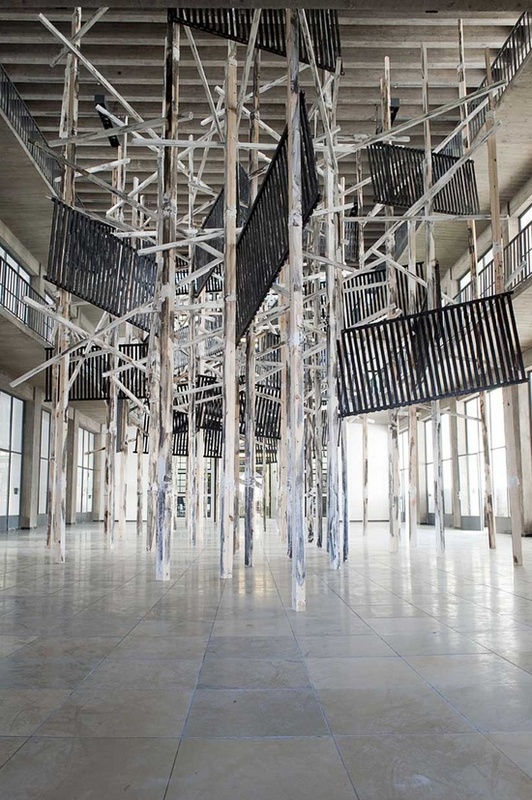 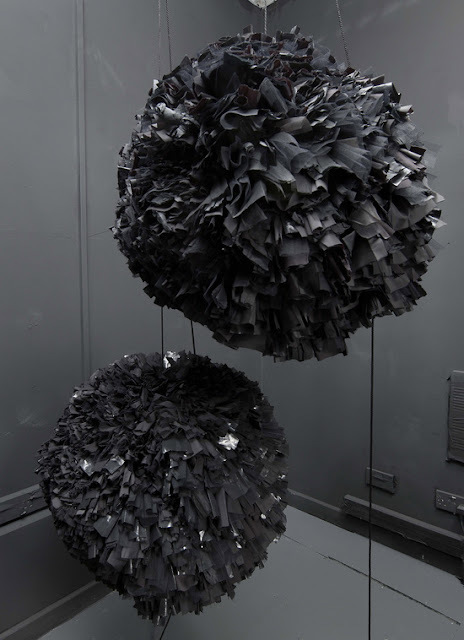 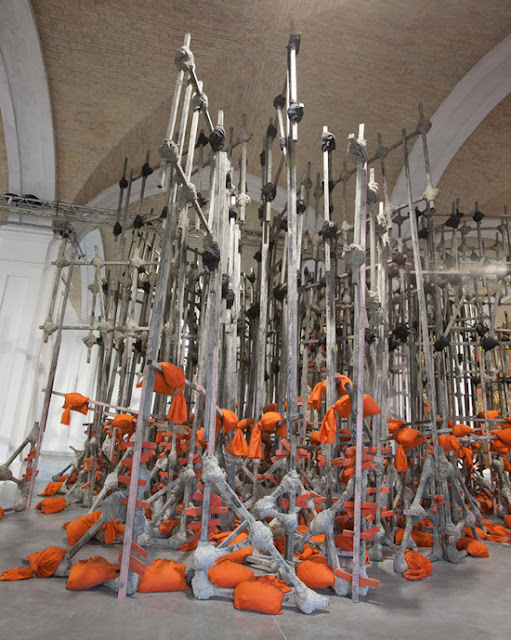 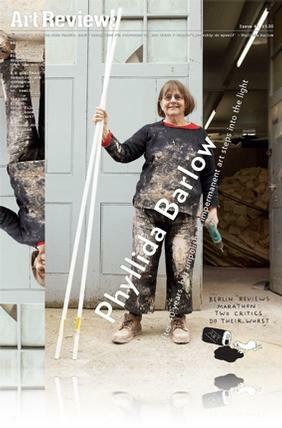 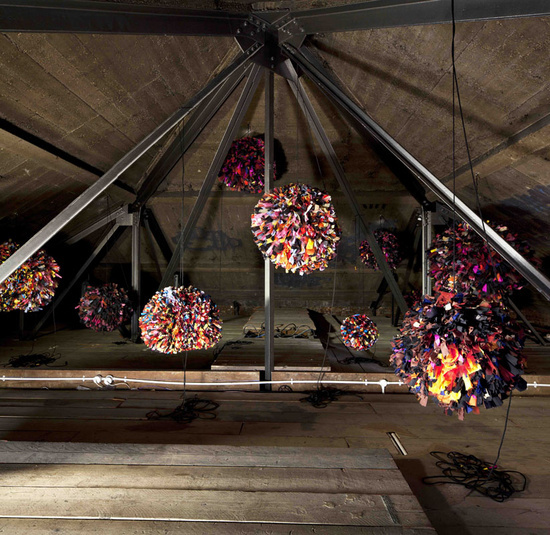 Professor of Fine Art at the Slade School of Art in London, Phyllida Barlow has taught art since the late 1960s. 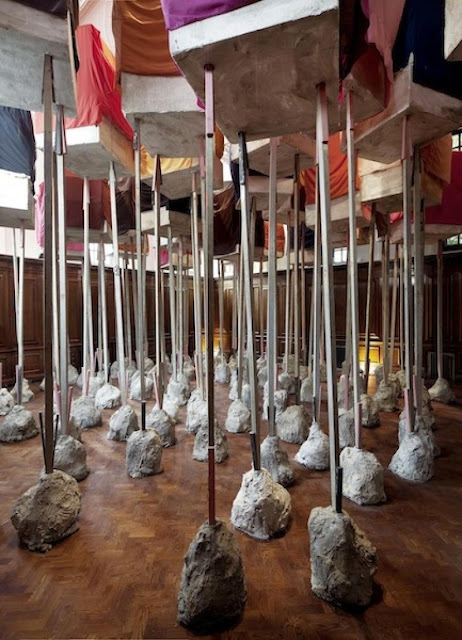 Her former students include Rachel Whiteread, Bill Woodrow, Steven Pippin, Melanie Counsell, Keith Wilson, Douglas Gordon, Tacita Dean, Conrad Shawcross, Tomoko Takahashi and Angela De la Cruz. 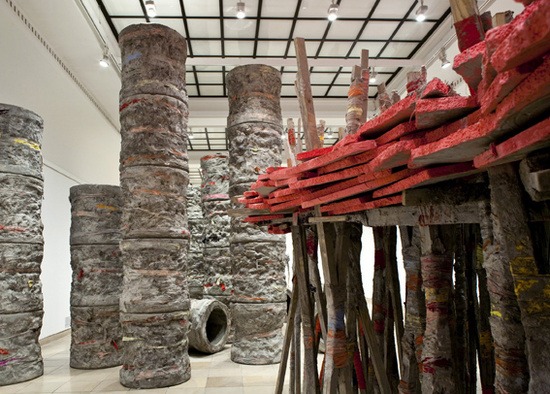 Barlow makes her work from a range of materials, such as felt sheets, wooden pallets, polystyrene, red masking tape and foam boards. 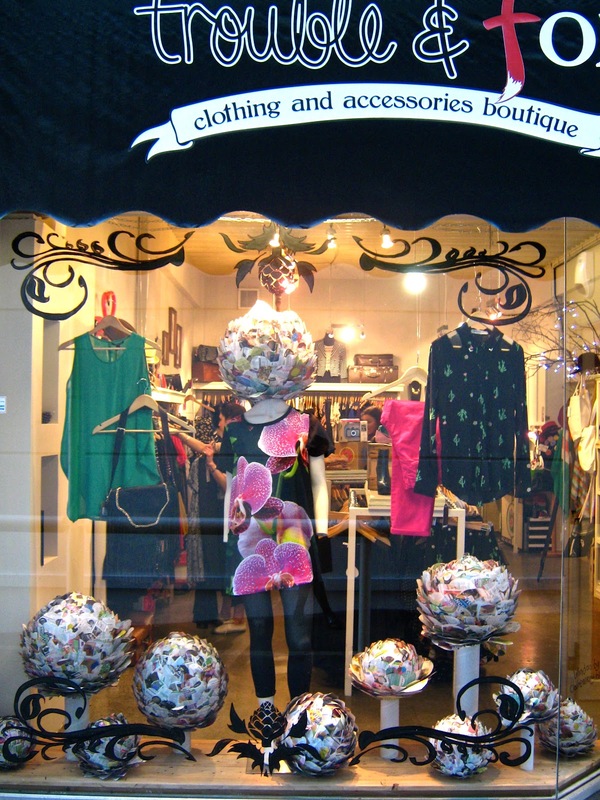 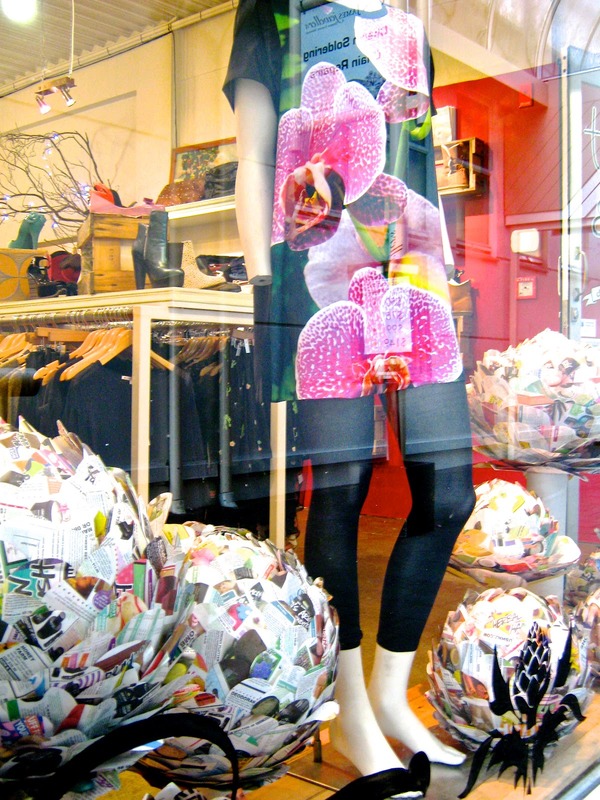 Protea Bloom is the latest window display for Trouble and Fox. 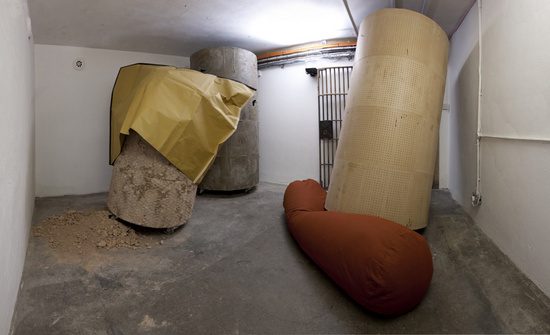 If your wondering how they were created it is quite simple. 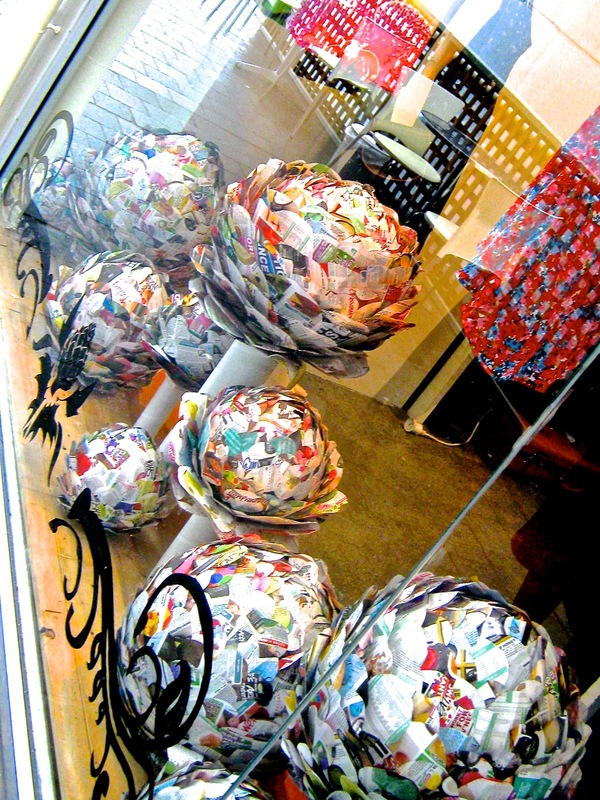 Collect some paper lanterns, get some paper (I recycled the Lush Times), cut your paper into circles, then glue them onto the lantern with a glue gun.